"SURGICAL STRIKE" part two! Joined by the precognitive villain Afterthought, Prometheus brings the Figureht directly to the JLA's Secret Sanctuary in Happy Harbor! 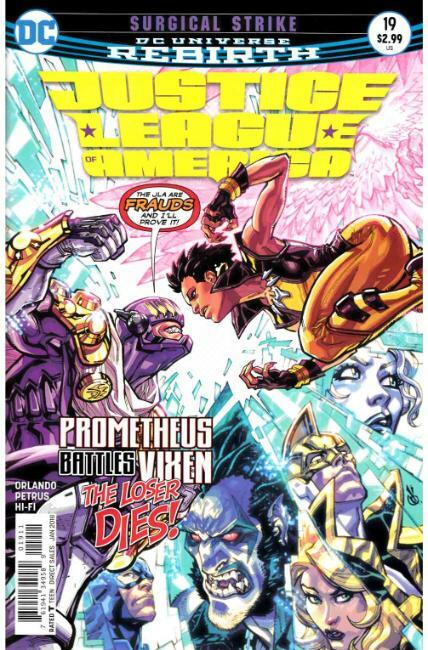 With her team on the ropes, Vixen goes toe-to-toe with Prometheus, whose demands are simple: destroy the Tantu Totem before the whole world and submit to chaos, or watch everyone in Happy Harbor die!